Sculptor and project Director, Rob Fisher, has adapted scientific visualization software to create 3-D figures called Cybernauts. By collaborating with Computer Scientists at Carnegie Mellon University, he gives his virtual creatures artificial intelligence and mobility — “life” in the computer. His investigation focused on creating an interactive working environment that enhances the computer image so that it has the life-like presence of tangible sculpture and that replicates the directness of an art studio experience. 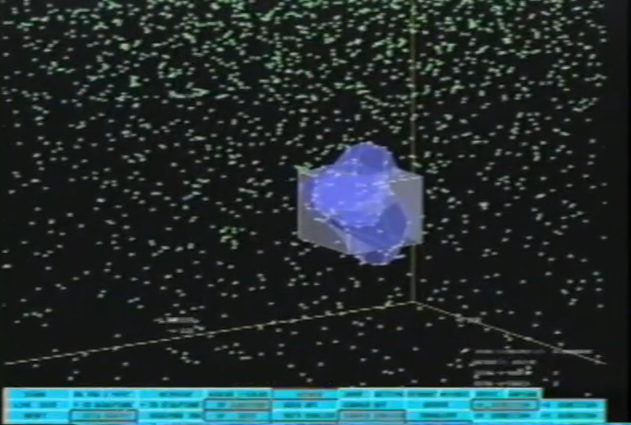 His project, “Dance of the Cybernauts” (1992), was therefore the result of scientific applications merged with engineering and architectural software to generate hybrid art/science forms. SFCI Archive: A 21st Century Sculptor’s Studio (1994) from STUDIO for Creative Inquiry on Vimeo.